Today is International Men’s Day which is celebrated worldwide and highlights the positive value men bring to the world, their families and communities. We highlight positive role models and raise awareness of men’s well-being. International Men’s Day seeks to address the many different issues surrounding men’s mental and physical health. 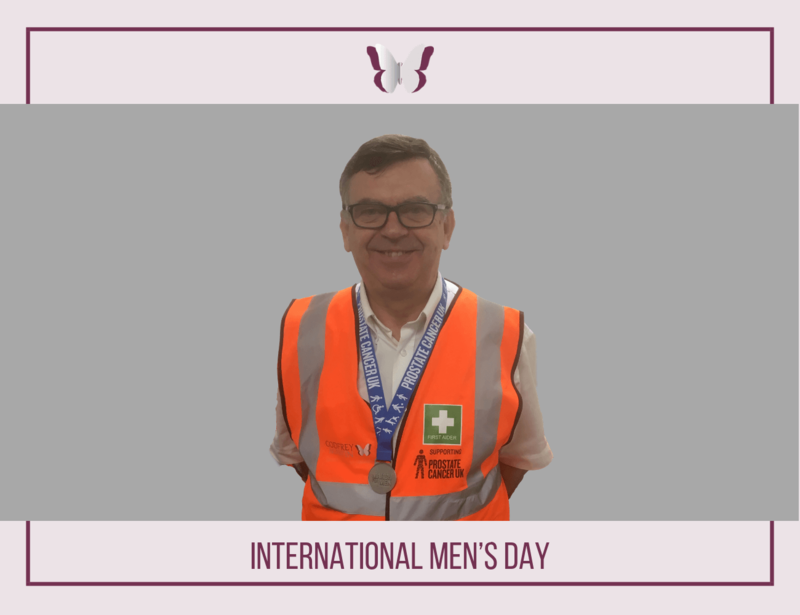 On the International Men’s Day, we at Godfrey Martin Ltd are proud to announce we have recently made a cobranded Hi-Vis with Prostate Cancer UK to raise awareness and support this important cause. Prostate Cancer UK is leading the fight against prostate cancer. They fund groundbreaking research, drive improvements in treatment, and fight injustice in care. They have set the toughest challenge yet: trying and find a cure to stop prostate cancer being a killer. Whether you’re fundraising, volunteering, making a donation or anything else, you can make a massive difference.